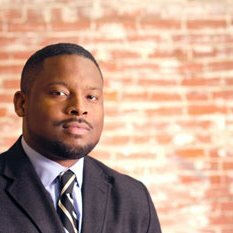 Sandino Thompson has become better known to a wider public in Oklahoma City recently as one of the voices for a new concept for redevelopment with a “MAPS 4”. His passion for this new intersection in the life of OKC comes from the many important intersections in his own life, many of which happened right in this city. From his website: As Public Strategies’ Director of Urban Services, Thompson provides oversight to neighborhood-based revitalization efforts, as well as public education, youth development, and employment projects. His strengths lie in his ability to develop a vision that leads to the prioritization of daily project objectives to ensure the realization of goals and outcomes. He offers leadership to numerous projects, providing the critical insights needed to gain community confidence and high quality results. One of his hallmark projects is the Whatever It Takes Initiative, a city-wide collaborative designed to bring transformational change to a low-income African American community, impacted for decades by the consequences of multigenerational poverty.